I've never tried Tarte cosmetics (except a maraca primer but that doesn't count). I've been hearing a lot of positive feedback about how their products are paraben, sulfate, and cruelty free! Lately I've been trying to search for more paraben free products and its actually pretty hard. Parabens are in our lotions, shampoo/conditioners, makeup, most cosmetics and beauty products to help preserve their self life. I'm a huge worry wart and I'm slowing but surely branching out and searching for more products that are better for my skin. I've always used a glittery bronzer for as long as I can remember. Tarte's Park Avenue Princess bronzer is not only matte (looks like it has a little glitter but doesn't show up on your skin at all) but its also a waterproof mineral based bronzing powder. It looks as if it would pull a little orange but definitely does not. I love to use this to contour my cheeks, temples, and my hairline. 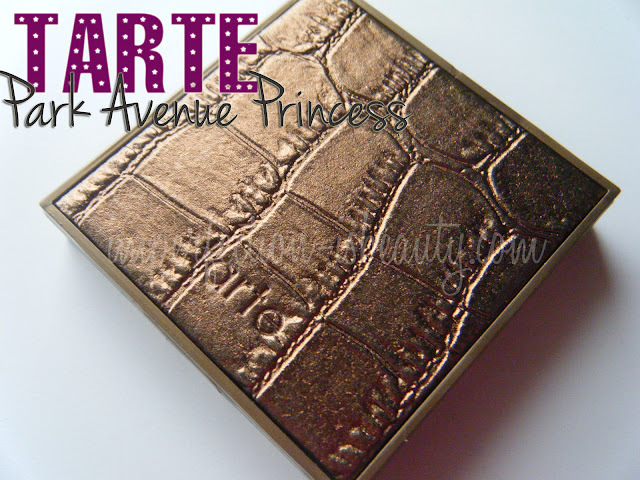 The packaging of Tarte's Park Avenue Princess is really what sold me. I love the croc golden bronze, faux leather, durable square compact their is a magnet inside to snap it closed which is great if you just want to throw it in your bag, or take it when you travel. The powder itself is as smooth as butter, very easy to apply and very blendable. The color is the perfect bronze shade for my skin tone giving the illusion that I actually have cheeks (without contouring I have no cheeks). Overall this bronzer is great for contouring, if you're looking for a bronzer that is subtle and natural, this is it! It adds a perfect amount of color to your cheeks for a sun-kissed look. 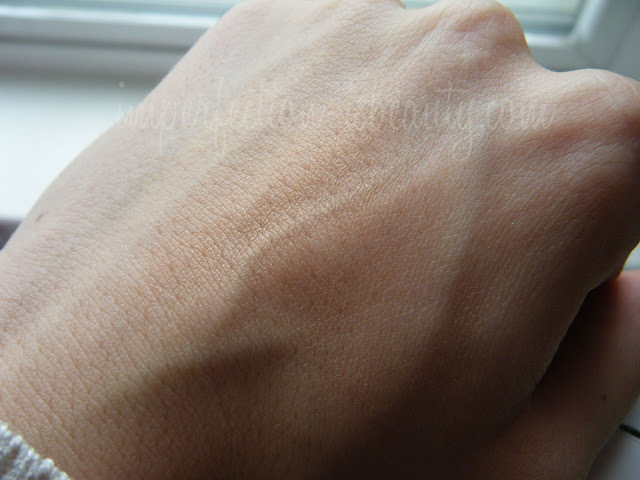 If you have a darker skin tone, you might want to build the color up a bit because it's rather light. The lasting power is great, I find that most bronzers wear off throughout the day especially on my cheeks but this really stays put all day no need for re-applying. This is a mini version I believe I got this at Sephora, or Ulta one of the two so if you haven't tried this I suggest you try picking up the smaller size to make sure you like it before you fork up $30 for the full size. What's your favorite bronzer at the moment? great review looks like something i might want to try, my fave at the moment is smashbox bronzer. 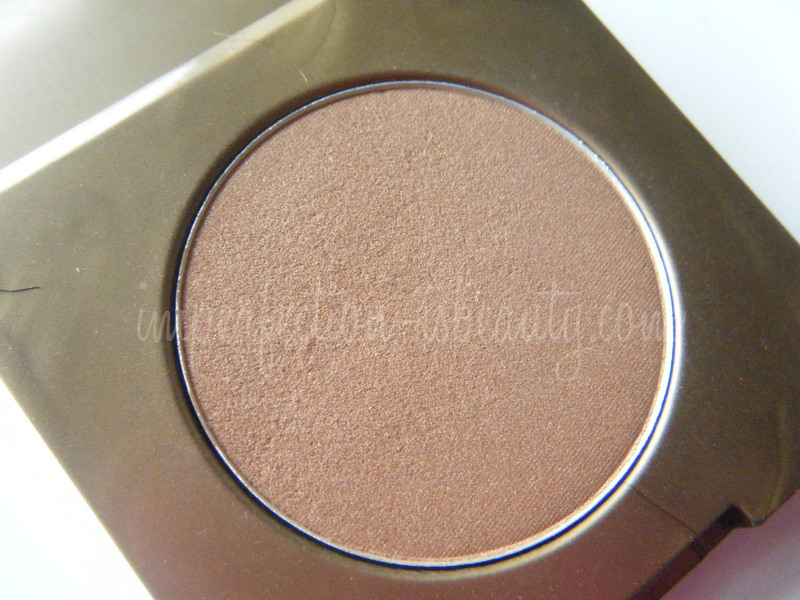 This Bronzer looks great :D My fave at the Moment is the summer bronzing powder by Babor! that looks like a lovely warm colour ; please can you check out my blog? I haven't tried anything from Tarte, I've always heard good things about their famous cheek stains though. Yep, parabens are everywhere. The bronzer is so cute and I love the packaging. I like Cargo Bronzer in Medium. I'm usually using Sleek contour kit in "light", I find it really nice. @Pola it will look great on your skin.